So I want to take just a second and talk about the three basic requirements of occlusal therapy. 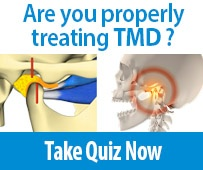 And if we think about this, good occlusal therapy is going to be about force management and putting the appropriate forces on the teeth. So step one is when a patient closes their jaw, we want to have equal intensity contacts or equal intensity holding contacts on all the teeth. That means, in the posterior, we want the lower buccal cusp and the upper lingual cusp to land in fossa, and in the anterior, we want to have the canines and the lower incisors contacting somewhere with the lingual of the upper incisors. 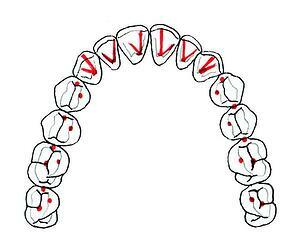 If we design this in centric relation, as the patient closes, we want to have all the teeth contacting simultaneously. So whatever load the patient can generate, we want that to be distributed evenly throughout the mouth. And that's one of the very important tenets of a good occlusion. The second thing we're going to talk about is that we want anterior guidance in harmony with the envelope of function. As we leave that position of the equal intensity contacts and we start to slide forward or into a left or right lateral movement, we want to have the anterior teeth carry the load. Visualize that as the lower incisors are traveling against the upper incisors, there's going to be disclusion in the back. And similarly, when we go into a right and left lateral movement, we want to have disclusion on the working and balancing side. So in that second rule, we say anterior guidance in harmony with the envelope of function. The thing to understand about this is that it's not just about having this contact as the jaw goes forward, but also that the envelope of function is about the outside-in movement of the mandible. So, those lower incisors travel a path outside-in as we chew and speak. 'In harmony with the envelope of function' means that, as we chew and speak, there's enough concavity of the upper incisors that the lower incisors won't bump. So the lingual contours of the anterior teeth have to be steep enough to disclude the back teeth, which is what anterior guidance is all about, but still be concave enough to be in harmony with the envelope of function or that outside-in movement of the lower jaw. This means that when we go into any movement, in a protrusive stroke, a right, or a lateral movement, or even between their maximum intercuspation and centric relation, we want to have no ability for the patient to rub on their back teeth; that's what non-interfering teeth means. The reason for this is that we know when a patient chews and they bite into a bolus of food, muscle activity actually is increased on the side that they have contact with the posterior teeth. So we like to say, the enemy of a good occlusion is when a patient can rub on their back teeth. Rubbing on a back tooth is not only going to put the force closer to the fulcrum point, which is the joint, but rubbing on a back tooth actually increases muscle activity. And so if we can look at a good occlusion as one where we have equal intensity contacts all the way around in centric and we have anterior guidance, and harmony with the envelope of function, and non-interfering posterior teeth, that is the formula for a stable occlusion. 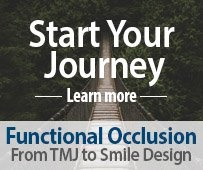 To learn more about occlusion and smile design, register for Functional Occlusion - From TMJ to Smile Design (offered in-person and online). John Cranham, DDS is the clinical director of The Dawson Academy, where he teaches many of the lectures and hands-on courses. Dr. Cranham owns and operates an esthetic-oriented practice in Chesapeake, Virginia. 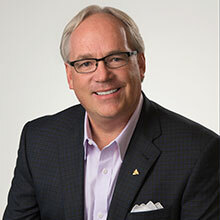 Dr. Cranham is an internationally recognized speaker with 25 years of experience.